The Nicholson File Company changed history when it opened its doors. 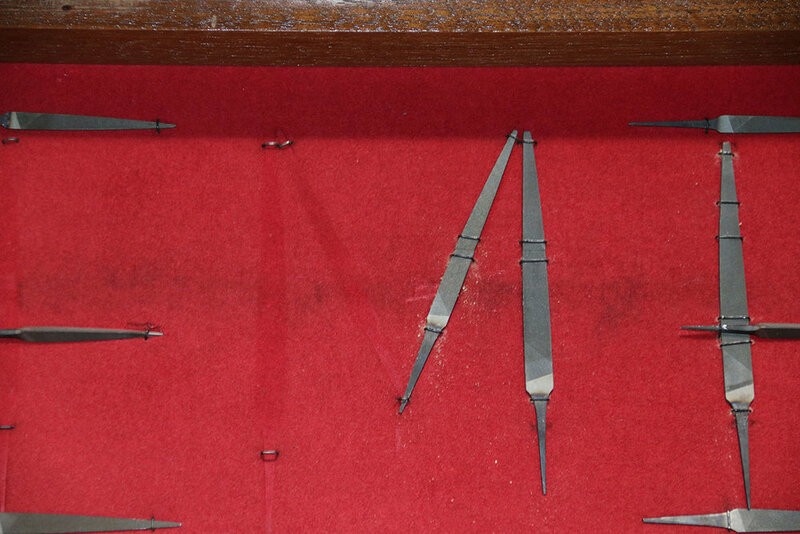 Before William T. Nicholson designed and patented equipment to manufacture them in 1864, files were actually quite difficult to make by hand. The National Museum of Industrial History contracted with B.R. Howard to provide conservation services to their Nicholson File Company centennial display. 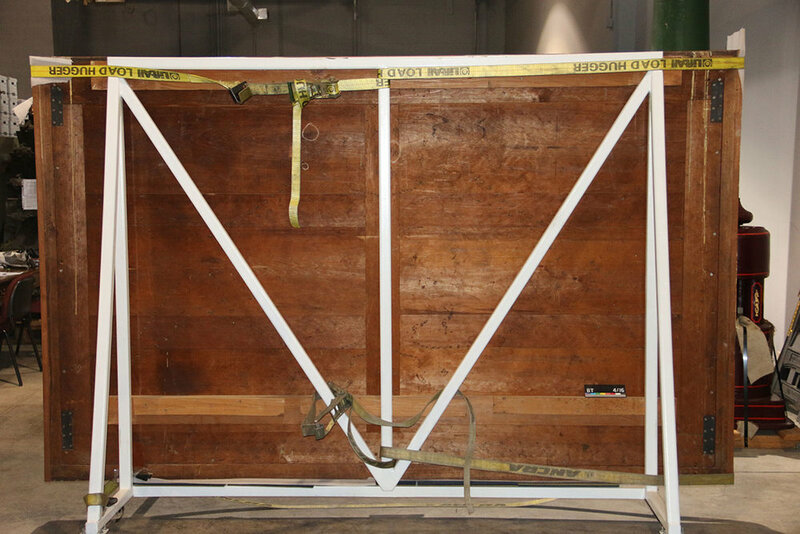 The artifact was in unstable condition due to the failure of a number of the wires which secure the files to the fabric covered display board. 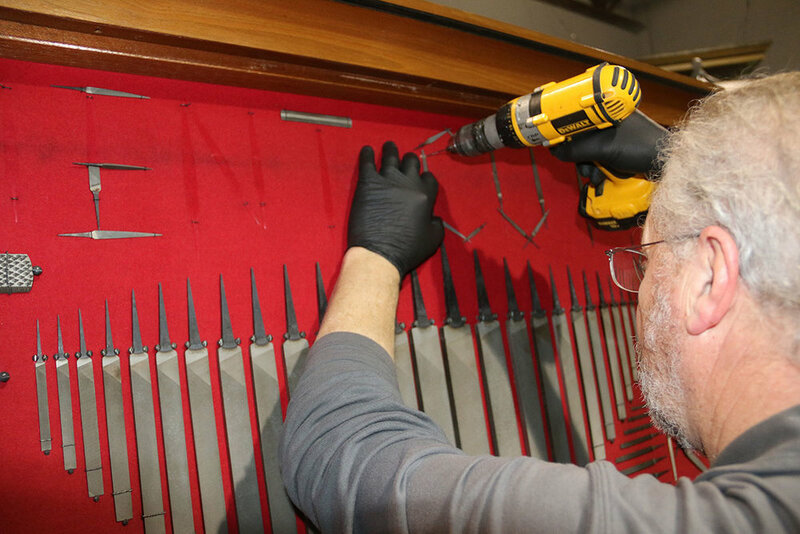 Over 30 of the displayed files had become detached and several were broken, needing repair and reinstallation, while many of the files shifted from their original placement due to loose screws. The fabric was torn and discolored because of air pollutants and insect damages.